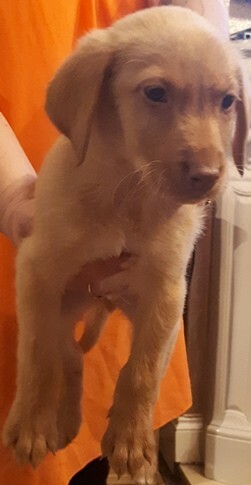 ...ONLY 1 FOX RED BOY LEFT has green.yellow eyes called TAZ this Beautiful little boy needs a good home is READY NOW FOX RED puppy for sale they have been microchipped and vet checked and 1st . 2nd injection had been done ready NOW They have all been brought up in the family home and have been handled cuddled and played with on a regular basis as they are part of the family.. they are also used to other dogs FULL PEDIGREE BUT NOT KC REGISTERED ................................................................................... 1 BOY FOX RED has green.blue eyes 675.00 x1 left 12weeks old ready now name is TAZ READY NOW .................................................................................. MUM is KC Registered who has 5 generation papers to back this up but dad is not we have paper..s for mum. and mum and dad are my pets ALL PUPPIES ARE EATING WILKO SPECIAL FEAST COMPLETE puppy food .you get a bag of food free.